The Master Sessions, has been beautifully produced by Frankie Glass and Jim Steinmeyer, and contain complete sleight of hand lessons with a variety of objects. 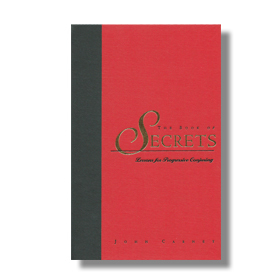 Here, you will learn the why and how, the real secrets. These lessons teach universal principles, using specific examples from well-crafted routines. Only a few of the pieces have appeared in print, and almost none have appeared on video. and masterful touches on audience handling.